Snoooze® is a natural sleep drink with effective herbs, supporting your natural sleep cycles and helping you fall asleep and stay asleep. The result is a wonderful, relaxed, natural sleep without any side effects. Enjoy a Snoooze® 20 minutes before bedtime. Snoooze® Strong - When you need to make sure to get a great night's sleep because you have big plans tomorrow. Snooze Strong - Valerian (1200mg) - Passionflower (900mg) - Linden Flower (400mg) - Lemon Balm (2800mg) - HOPS (5mg) *These statements have not been evaluated by the Food and Drug Administration. This product is not intended to diagnose, cure, treat or prevent any disease. 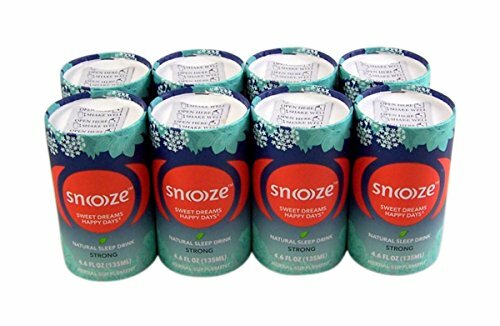 Snoooze, Natural Sleep Drink, is an Herbal Blend and Herbal Dietary Supplement with Botanical Extract, Such as Valerian, Passionflower, Linden Flower, and Lemon Balm, Which Help Support a Healthy Sleep, Especially at Times When You Need it Most. Drink One Can of Snoooze Natural Sleep Drink 20 Minutes Before Bedtime. Shake Well Before Drinking. Snoooze® is a Natural sleep drink with effective herbs, supporting your natural sleep cycles and helping you fall asleep and stay asleep. The result is a wonderful, relaxed, natural sleep without any side effects. If you have any questions about this product by Snoooze, contact us by completing and submitting the form below. If you are looking for a specif part number, please include it with your message.